At 9am on Friday 11th September Kerry Civil Defence AFS Unit was placed on an ‘Orange’ weather alert. 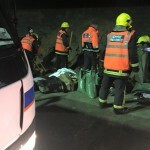 The Welfare Unit was placed on stand-by to support the call-outs. 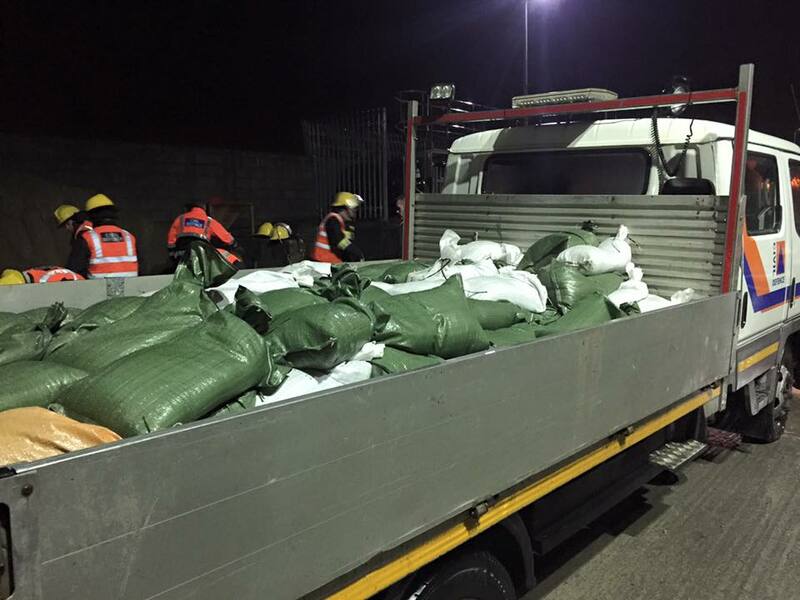 During the course of the day the Kerry Unit responded to a number of calls, deploying 260 sandbags with 16 members of the Auxiliary Fire Service (AFS) Unit on active duty. 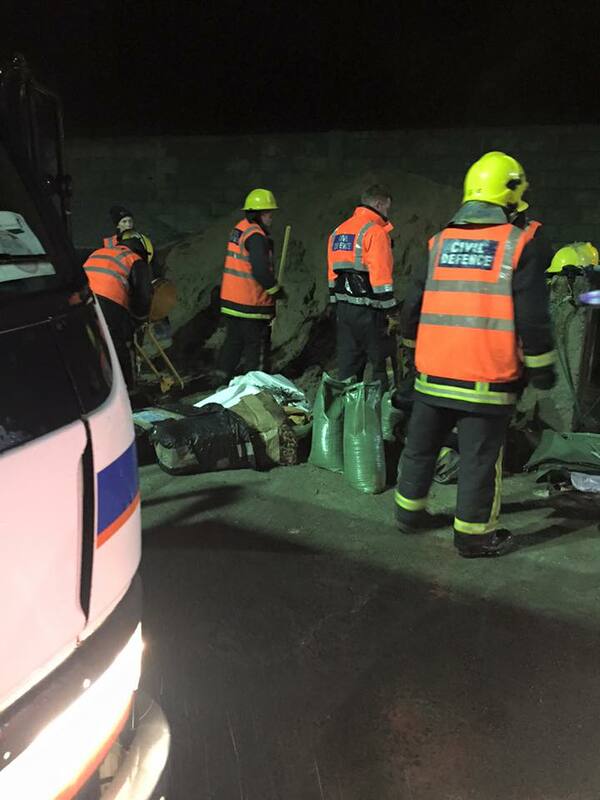 On Sunday night/Monday morning the Fire Service deployed Civil Defence to assist in the general Tralee area. A further 365 sandbags were deployed with 18 Volunteer members on duty through the night until 7am on Monday 14th September. Over the course of the two days a total of 625 sandbags were deployed. 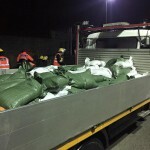 34 Volunteer members were on active ‘flood relief’ duty, ably supported by the Kerry Civil Defence Welfare Unit which provided refreshments during the course of the operation.